Not sure if it will work without some form of drivers already installed but try this : http://www.msi.com.tw/program/suppor...ist.php?kind=1 . 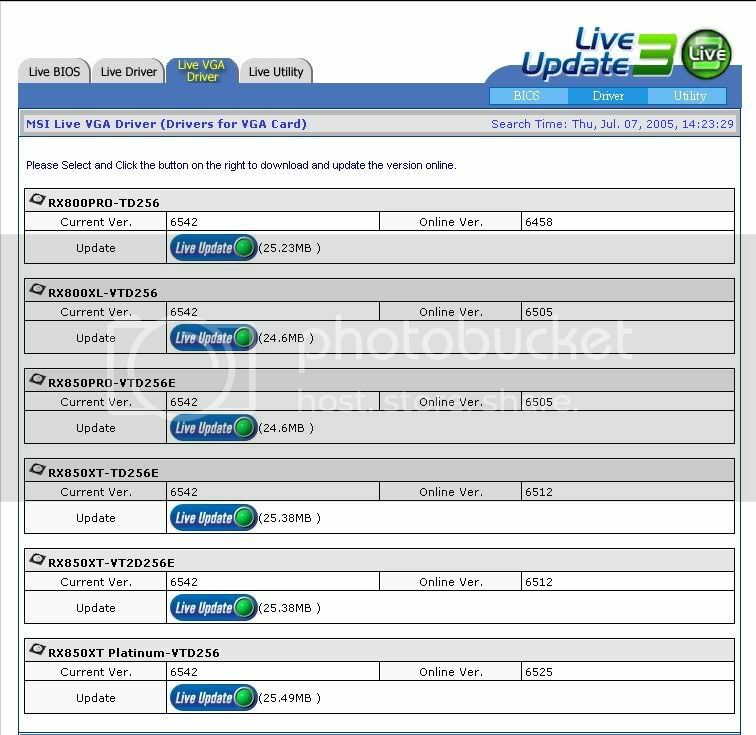 The fifth download from the top may be of interest "MSI Live Update". Good luck. This is the ATI driver download site. Unless there is a particular reason you need the MSI driver for your ATI card, just get the most recent available from ATI. Catalyst v5.6 is current right now but they usually come out with new drivers every month or two. What they are hoping for is that your mainboard manufacturer has put out an updated AGP driver (not VGA). so if i dont see an AGP driver listed does that mean im pretty much out of luck? Possibly... I'm not finding your particular motherboard on their website, though. Is this an MSI mainboard from a PC manufacturer (Compaq, HP...)? That would be why it isn't on the MSI site then. A lot of manufacturers have motherboards specially made for their OEM machines and they aren't retail. They are also often stripped of certain capabilities to keep costs down. You might try looking at the Compaq site (aka hp.com) and see if they offer updated AGP drivers for your machine.